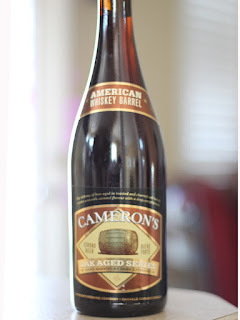 Not to be left on the sidelines of craft brewing, Cameron's gets into the ring with a gorgeous looking 750mL bottle of unfiltered strong ale, barrel aged in American Whiskey barrels. This release is part of their "Oak Aged Series". This beer has promise! I am looking forward to enjoying this with some friends. Winner at the 2011 “Canadian Brewing Awards” Silver for “Wood and Barrel Aged Beer”.